1. What Data do we Collect and where do we get it from? For the purposes set out in this notice, the Information Commissioner (ICO) requires us to advise you that, information, including personal information detailed below relating to you or anyone else to be covered by an insurance policy (“Personal Data and Special Categories of Data“) will be collected and processed by Bluestone Insurance Services Ltd and/or on its behalf by its third party service providers. This data will be provided by you, or any other person you may appoint to provide us with information. You will either be completing application forms or answering questions we ask you, in order to provide the required information. We may also obtain information from other sources that is readily available in the public domain such as the Internet of Things (IoT), Social Media, Press etc. Your title, gender, race, ethnic origin, political opinions, religious beliefs, physical or medical health conditions, driving licence origin, UK residency period, children’s data where the child is under 16 (only for travel and/or private medical insurance policies), criminal history. Data for criminal convictions and offences will only be collected as permitted by UK Law. We will have asked for, and recorded, either your verbal or documented consent to process any special categories of data that we may have collected from you. Each time you visit our website, we may automatically collect Technical information including IP address. The controller of this Personal Data is Bluestone Insurance Services Ltd (“we” and “us“). of Esland Place, Love Lane, Cirencester, Gloucestershire GL7 1YG. If you have any query, please contact privacy@bluestoneinusrance.co.uk. 2. How and why do we Process Your Personal Data? We obtain, collect and process your Personal Data and Special Categories of Data (which includes sharing your data with others) to enable us to quote for your insurance needs, place you on cover, make any payment arrangements requested, make any alterations to your policy that you may request during the policy term, and in the unfortunate event that a claim occurs we will need to share your information to help you make your claim. We may also have regulatory and / or legal obligations for sharing data with others, but we will only share it for the purposes stated, or in a way you would reasonably expect us to, unless we inform you otherwise. If you do not provide the data requested it may not be possible to obtain a quote or provide you with a policy. · In respect of children’s data, a child being a person under the age of 16, which is only collected for the purposes of arranging travel or private medical insurance, we will seek parental consent to hold the data and record that consent. · We will seek consent from you, either verbal over the phone, or signed consent from you where we are face to face, to enable us to process any special categories of data we may obtain from you, as described above. · Processing is necessary in order for us to take steps, at your request, to enter into a contract of insurance when you ask us to place cover, and for the performance of that contract when you need to make a claim. We also retain certain limited details beyond these periods to deal with any claims we receive after the statute of limitations has expired (late claims) and any claims we receive where the claimant was not aware of the damage until a long time after it was caused (latent claims). We retain these details (for example names, policy start and finish dates and cover details) for 25 years (for late claims) and 60 years (for latent claims).  · For some of our products eg: motor and household insurance, we may carry out automated decision making (including profiling) to process your personal data in order for insurers to underwrite and price your insurance online and/or process your claim. We take care to ensure our profiling is fair, transparent and limited in purpose. · We have stated the reasons we are collecting your data above, but in the event that you do not wish to provide us with your Personal Data for all or any of the above reasons, this may limit the insurers who will quote and agree to cover, and in some cases insurers may not wish to offer cover at all. · If at any point in the future we need to amend this policy, every effort will be made to make you aware and our website will always have the latest version. 3. Where do we hold your Data? Under General Data Protection Regulation you have rights and these are listed below. The General Data Protection Regulation sets out the information we must provide to you about your Data. All of the information we are required to give you is contained within this Privacy Notice. If you do not understand any part of this, you should contact us immediately and we will be happy to explain it to you. You have the right to access and obtain a copy of the Personal Data, and any supplementary information that we hold about you to enable you to verify the lawfulness of the processing carried out. This will be provided free of charge, unless your request is unfounded, excessive or repetitive, and the information will be sent to you within 30 days of your request being received. If we refuse your request, you have the right to complain to the ICO. You have the right to request that we correct any inaccuracies in the Personal Data we hold about you. This will be corrected within one month. If we are unable to correct the inaccuracy you have the right to complain to the ICO. · your Personal Data must be erased for compliance with a legal obligation. We refuse the right to delete your information when it falls within our data retention period stated above, as this data may be required to exercise or defend litigation in the event of a claim whether covered or not by the insurance policy. If you do not agree with this you have the right to complain to the ICO. · where you have objected to our processing of your Personal Data pending the verification of whether or not our legitimate business interests override your interests, rights and freedoms. Where you exercise your right to restrict our processing of your Personal Data, we will only continue to process it in accordance with the requirements of this policy or our legal obligations. · and where processing was carried out by automated means. Where you make such a request, this will be provided in a structured, commonly used, machine readable format such as a CSV file. This will be completed within one month of us receiving your request. · The processing is for establishment, exercise and defence of legal claims. · You have given your explicit consent for us to do so. We will only process data in the way you would expect it to be used, and you will be entitled to have a person from our firm to review the decision so that you can query it and set out your point of view and circumstances to us. Where the legal basis of Consent has been used for Childrens’ data or special categories of data, you have the right to withdraw that consent at any time. Where you exercise your right to withdraw consent of the processing of any children’s data or special categories of data, any data processed prior to the withdrawal of consent will remain valid. You may raise any concerns about Bluestone Insurance Services Ltd’s processing of your Personal Data with the Information Commissioner Office on https://ico.org.uk/. We may amend this notice on occasion, in whole or part, at our sole discretion. Any changes to this notice will be effective immediately upon sending the revised notice to you by e-mail or post. If at any time we decide to use your Personal Data in a manner significantly different from that stated in this notice, or otherwise disclosed to you at the time it was collected, we will notify you by e-mail or post and you will have a choice as to whether or not we use your information in the new manner. If you have questions or concerns about this notice, please email privacy@bluestoneinsurance.co.uk. Where your information for your policy has been provided to us by another person, we will send you a copy of this privacy notice directly to you, where we have your address, within one month of your policy being taken out. If we do not have / are unable hold your address for any reason, we will send a copy of this to the person arranging the insurance with instructions to pass this to you within one month. Where you have taken out a policy and provided us with information about another person, eg: an additional driver to your motor policy, an additional person to your travel insurance particularly where health conditions have been disclosed, it is unlikely we will have their address, and therefore you must provide them with a copy of this Privacy Notice so that they will know how their data is being used. Additional copies can be supplied on request. Bluestone Insurance Services Ltd is committed to ensuring that your privacy is protected. Should we ask you to provide certain information by which you can be identified when using this website, then you can be assured that it will only be used in accordance with this privacy notice. Bluestone Insurance Services Ltd may change this notice from time to time by updating this page. You should check this page on a regular basis to ensure that you are happy with any changes that are implemented. This policy is effective from 22/05/2018.